Do not, I repeat, do not remove the Santa Village from the box. This holds true for the snow globe, nutcracker and penguin collections as well. One tree, yes. Even in your 10,000-square-foot home. One tree, and make it a green tree, no upside-down trees, pink trees, black trees, bottle trees, no highly stylized or weird trees, period. These are guaranteed focus pullers and you are not selling that tree, you are selling your house. You’ve seen them, mantles that are heaving with glittery ornaments, flocked pinecones, giant candles, and perhaps a gold deer or two. Don’t even go there. Don’t put the presents out until Christmas Eve. Seriously. If you have that many presents under the tree do you really need that much money for your house? It also confuses the heck out of little kids dragged along for the showing. 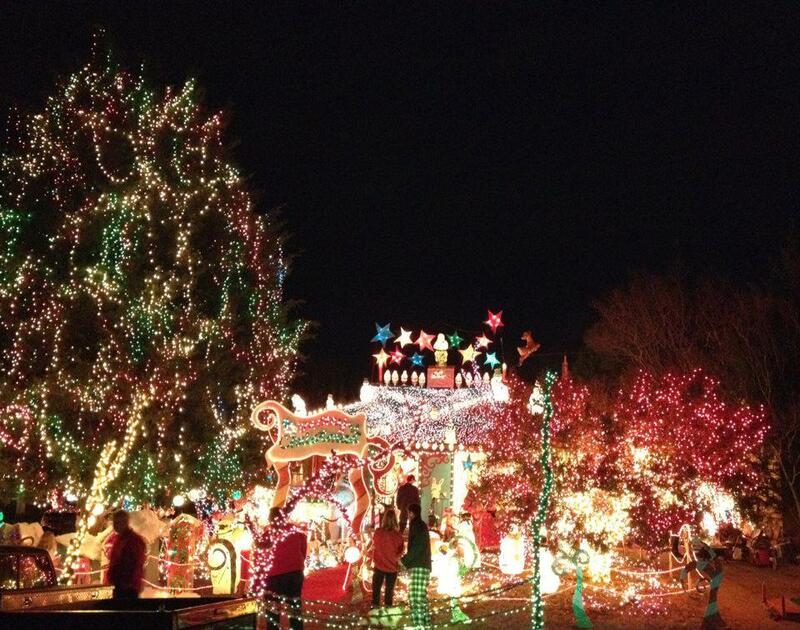 This is not the year to compete in the neighborhood outdoor light contest. Outline the house or light up a tree, but leave the sleigh and eight not-so-tiny reindeer off the roof. 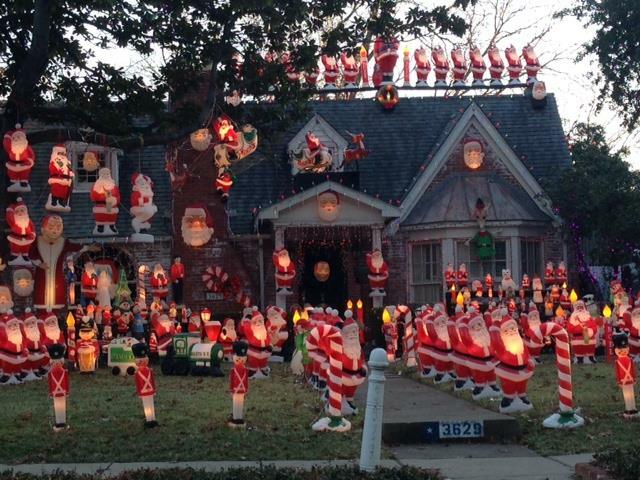 If you’re selling your home, now is not the time to show off your collection of glowing plastic lawn Santas. Do not purchase any magazine full of Christmas decorating ideas by Martha Stewart or you won’t be able to stop yourself. Next year, you can max out on hanging hand cut paper snowflakes from the ceiling. Leave Mickey at Disneyland and your blue and silver obsession at Cowboy Stadium this year. Don’t display Christmas cards. Buyers will get distracted looking at photos of your friends kids on Santa’s knee and reading your holiday greetings. Believe me, they WILL read them. No fake snow, in or out. Not on the windows, not on the lawn. 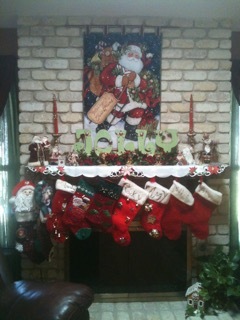 Don’t hang the stockings with care for all to see. Hang them up on Christmas Eve, then stuff them back in the storage box. Don’t hang up mistletoe. Don’t hang wreaths in every window. Don’t hang tinsel from the staircase. Don’t hang bells, bows or balls.